Reading, Newbury, Bracknell, South Oxford, Basingstoke, Bracknell, Winchester, Swindon and Andover. I am willing to travel up to an hour from home. I am a KGHypnobirthing teacher so please have a look at my website www.bumpbabyandbeyond.uk for local courses taking place. I am also a qualified baby massage instructor. I have experience in supporting both single women and couples with first and subsequent pregnancies as well as multiple births. I have also supported women with homebirths, waterbirths, IVF pregnancies, asylum seekers and women suffering with tokophobia and mental health issues. 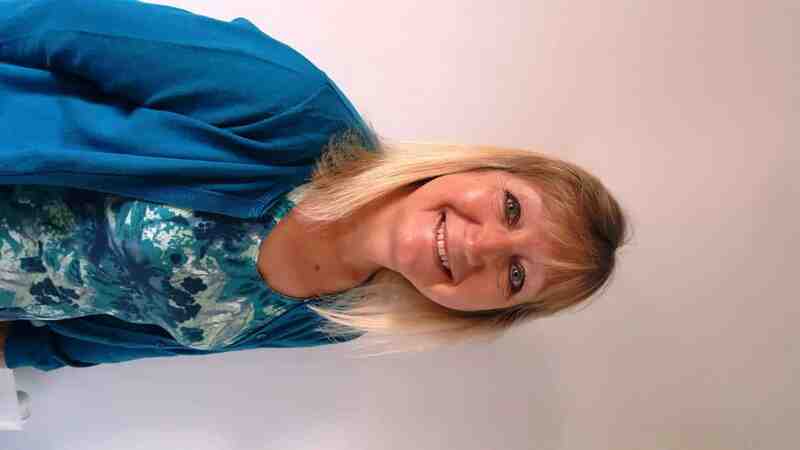 A little bit about me:- I’ve been very happily married for 39 years, have two sons and three wonderful grandchildren. My own births were very different but relatively straightforward. I live between Reading and Newbury but also cover areas including Swindon, South Oxford and Basingstoke. I have spent the majority of my working life as a Personal Assistant for a variety of companies and have only now found my true vocation. It was a friend of mine that sparked an interest in me to become a birth doula. I was fascinated by what she was telling me and I couldn’t wait to start supporting women and their partners to have a positive birth experience. I also wanted new parents to start parenthood feeling contented, happy and feeling fully supported so they can enjoy those early days with their new family. I also became a KG Hypnobirthing teacher as I had seen firsthand how hypnobirthing can help to release fears, anxieties and pre conceptions as well as building confidence in women. Practising hypnobirthing instils a calm and confidence in labouring women that enables your body to work efficiently and as nature intended. It also enables partners to be actively involved both during the pregnancy, labour and birth and introduces skills that will help with the new role as parents. I provide full antenatal classes to small groups or private sessions that will ensure you have access to information to enable you to make informed choices about where you have your baby and the kind of care you would like during your pregnancy, labour and birth. I would like all pregnant women, whether it’s a first or subsequent birth to have an experience that can be looked forward to, an empowering experience and one you can feel totally in control of. I really enjoy being part of a supporting team and helping to create the kind of environment you want during the birth of your baby. Birth is a natural event but each one is also a little miracle! I would offer you continuous support in a warm, sensitive and caring way to help you feel relaxed and confident. I will assist with labouring and birth positions to encourage and reassure you. I will also support you once your baby has been born, so that you and your partner can start parenthood feeling confident and knowledgeable in meeting the demanding needs of your new family. So, whether you are searching for a hypnobirthing course, a birth or postnatal doula, and you feel happy that I could support you, please contact me. I am always available for a face to face interview or if you prefer a phone call/email and you can find out a little more about me to see if I am the right person for you. 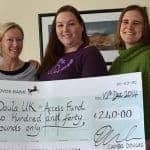 I was lucky enough to be given the opportunity to have a doula for my second birth after the traumatic birth of my son. Sue is wonderful and my husband and I are very glad we met her. She helped by showing us hypnobirthing and also by being there with us on the day. I know the experience would have been much less manageable without her support, and the visits afterwards are lovely also.